Apple is closing in on a deal to buy Shazam, the popular phone app, and sources put the price tag at about $400 million, according to reports from TechCrunch and Recode published Friday. A deal for the app, which identifies songs and other media by matching its soundwaves to a large database, is expected to be announced by Monday. Designed in London by a company of the same name that was founded in 1999, Shazam debuted in 2002 on mobile phones and used SMS texts to inform its users which songs it heard. As of Sept. 2016, the company says the app has been downloaded over 1 billion times in over 190 countries. 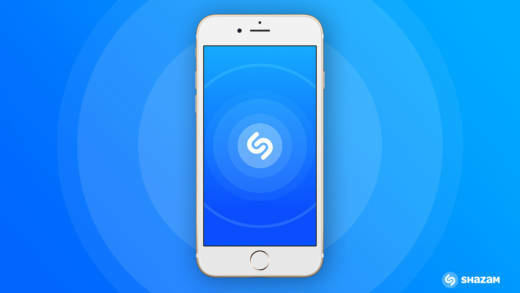 Apple has had a long relationship with Shazam, as it was one of the first apps available when the Apple app store opened in 2008; it continues to be popular, with users "Shazam-ing" media around 20 million times a day. (It did not make Apple's list of most popular apps for 2017.) The app also allows users to connect to iTunes to buy the tracks that were "Shazamed," as well as to streaming services such as Spotify and Google Play. The company was last valued at over $1 billion, according to PitchBook, rendering Apple's purchase price of $400 million a significant discount. Shazam has raised $143 million since 2002, and finally made a profit of $54 million last year due to advertising revenues. In the tech and music worlds, speculation has proliferated on the possible motives for Apple to buy the company, especially as the technology behind the app's song-identification is reportedly easy to replicate nowadays. The Verge posits that Shazam's recently launched augmented-reality platform could be a starting point if Apple were to create its own version of Google Lens. Representatives from Apple and Shazam have declined to comment.